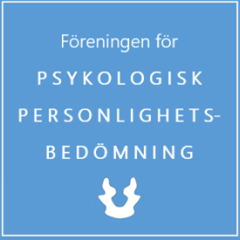 Wiberg psykologi are happy to announce this special course in Therapeutic Assessment. In close cooperation with Therapeutic Assessment Institute (TAI, http://www.therapeuticassessment.org). The course is accredited as one course in the Swedish specialization training. Send an email to wibergpsykologi@gmail.com or click “contact” and fill in the form. You will get an notification paper to fill in and return. also you who have tried some TA but never had any advanced training. 21 to 23 of May in Stockholm will introduce theory and videotapes on TA with Adults and Families. We will give you detailed information, tips, laths, stories and much more. The teachers here are Filippo and Jan.
On the 23rd, participants will engage actively in learning and practicing in role playing of initial sessions. First theory, videos and role playing of TA with adults in the mornings and in the afternoon with children and families. The three days in August (from the 28th to the 30th) will have the same format (adults in the mornings and the afternoon with children and families). The days will contain theory, videos and role playing of all the remaining steps of Therapeutic Assessment: collaborative use of tests, therapeutic interventions with tests and providing collaborative feedback to clients. See also the upcoming video presentation which will be released in a few days. Filippo Aschieri, Assistant professor, Coordinator of the European Center for Therapeutic Assessment, Università Cattolica del Sacro Cuore, Milano, Vice-President of the Therapeutic Assessment Institute. Jan Kamphuis, Full professor, Director of clinical training, University of Amsterdam, Board of directors of the Therapeutic Assessment Institute. Hilde De Saeger, psychologist and psychotherapist. Director of assessment practice at the Viersprong clinic in Antwerp,Vice-President of the Therapeutic Assessment Institute. Franchesca Fantini, Ph.D, Lecturer of Personality Assessment, Università Cattolica del Sacro Cuore di Milano, Coordinator of the service for psychological counselling, EDUCatt, Board of directors of the Therapeutic Assessment Institute. Information on the course in therapeutic Assessment which starts in May 2019. Course Description TA Sweden May -19. In Stockholm the 21st to 23rd of May and the 28th to the 30th of August. Any questions will happily be answered. Send a message to wibergpsykologi@gmail.com or fill in the form under “Contact”.